A few Christmas Facts from the Nineteenth Century! Perhaps the best known poem in the English language is “A Visit from St. Nicholas,” or as it’s often called, “The Night Before Christmas.” Its author, Clement Clarke Moore, a professor who owned an estate on the west side of Manhattan, would have been quite familiar with the St.
Nicholas traditions followed in early 19th century New York. The poem was first published, anonymously, in a newspaper in Troy, New York, on December 23, 1823. Reading the poem today, one might assume that Moore simply portrayed the common traditions. Yet he actually did something quite radical by changing some of the traditions while also describing features that were entirely new. For instance, the St. Nicholas gift giving would have taken place on December 5, the eve of St. Nicholas Day. Moore moved the events he describes to Christmas Eve. He also came up with the concept of “St. Nick” having eight reindeer, each of them with a distinctive name. Note: After this article was published, new research by Professor Don Foster of Vassar College cast doubt on Clement Clarke Moore's authorship of "A Visit from St. Nicholas." The other great work of Christmas literature from the 19th century is A Christmas Carol by Charles Dickens. 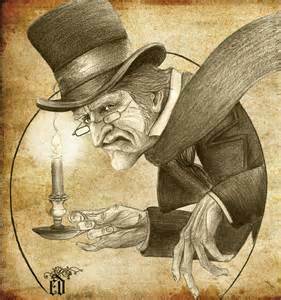 In writing the tale of Ebenezer Scrooge, Dickens wanted to comment on greed in Victorian Britain. 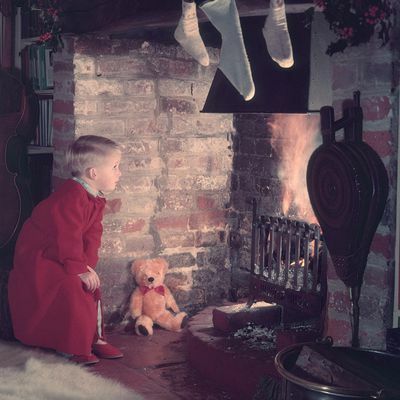 He also made Christmas a more prominent holiday, and permanently associated himself with Christmas celebrations. Dickens was inspired to write his classic story after speaking to working people in the industrial city of Manchester, England, in early October 1843. He wrote A Christmas Carol quickly, and when it appeared in bookstores the week before Christmas 1843 it began to sell very well. It has never been out of print, and Scrooge is one of the best-known characters in literature. The tradition of the Christmas tree came from Germany, and there are accounts of early 19th century Christmas trees in America. But the custom wasn’t widespread outside German communities. The Christmas tree first gained popularity in British and American society thanks to the husband of Queen Victoria, the German-born Prince Albert. He installed a decorated Christmas tree at Windsor Castle in 1841, and woodcut illustrations of the Royal Family’s tree appeared in London magazines in 1848. Those illustrations, published in America a year later, created the fashionable impression of the Christmas tree in upper class homes. The first electric Christmas tree lights appeared in the 1880s, thanks to an associate of Thomas Edison, but were too costly for most households. Most people in the 1800s lit their Christmas trees with small candles. The first Christmas tree in the White House was displayed in 1889, during the presidency of Benjamin Harrison. The Harrison family, including his young grandchildren, decorated the tree with toy soldiers and glass ornaments for their small family gathering. There are some reports of president Franklin Pierce displaying a Christmas tree in the early 1850s. But the stories of a Pierce tree are vague and there doesn't seem to be contemporaneous mentions in newspapers of the time. 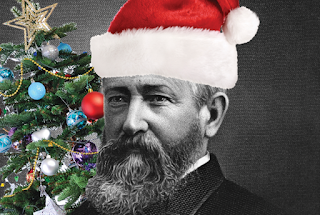 Benjamin Harrison's Christmas cheer was closely documented in newspaper accounts. An article on the front page of the New York Times on Christmas Day 1889 detailed the lavish presents he was going to give his grandchildren. And though Harrison was generally regarded as a fairly serious person, he vigorously embraced the Christmas spirit. 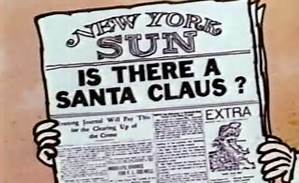 In 1897 an eight-year-old girl in New York City wrote to a newspaper, the New York Sun, asking if her friends, who doubted the existence of Santa Claus, were right. An editor at the newspaper, Francis Pharcellus Church, responded by publishing, on September 21, 1897, an unsigned editorial. The response to the little girl has become the most famous newspaper editorial ever printed. "Yes, VIRGINIA, there is a Santa Claus. He exists as certainly as love and generosity and devotion exist, and you know that they abound and give to your life its highest beauty and joy. Alas! how dreary would be the world if there were no Santa Claus. It would be as dreary as if there were no VIRGINIAS." Church’s eloquent editorial asserting the existence of Santa Claus seemed a fitting conclusion to a century that began with modest observances of St. Nicholas and ended with the foundations of the modern Christmas season firmly intact. I hope everybody has a fabulous Christmas holiday! Sweethearts of Jubilee Springs Christmas Story! It’s almost Christmas Eve, the day of her wedding. 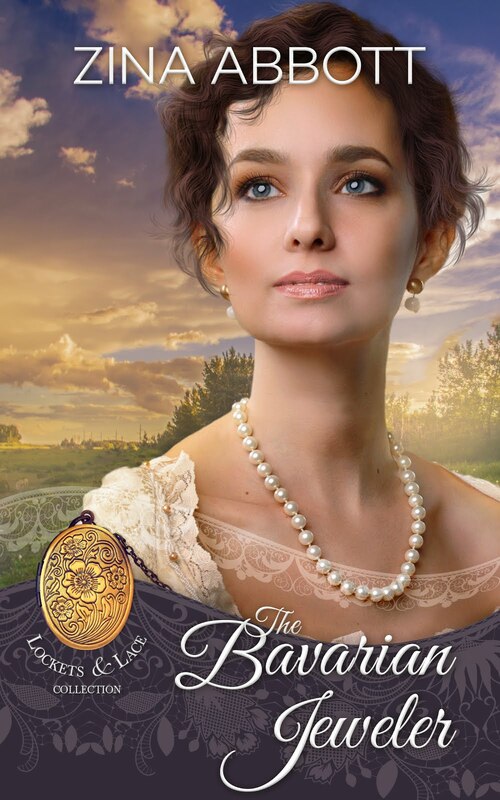 How can the happiest time of her life become the most terrifying? Christmas Eve is five days away. 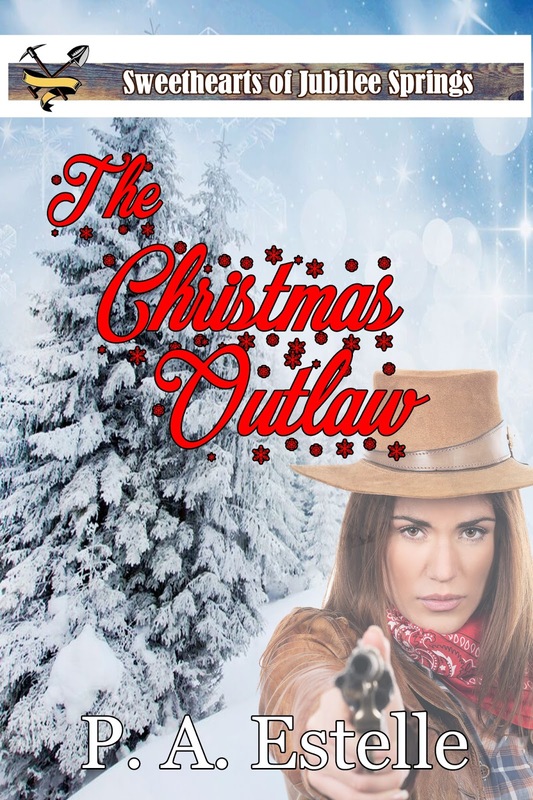 This is the day Sheriff Jim Hawkins will marry Charlene Lehman, the woman who will make his life complete and be the mother of his six year old daughter, Sally. Will the magic of the Christmas season come through or has Jim lost everything he has come to cherish?